Feb 20, 2016: Watch Brooke's new video for "Alive"
November 26, 2014: Check out Brooke's video for Figured Out. 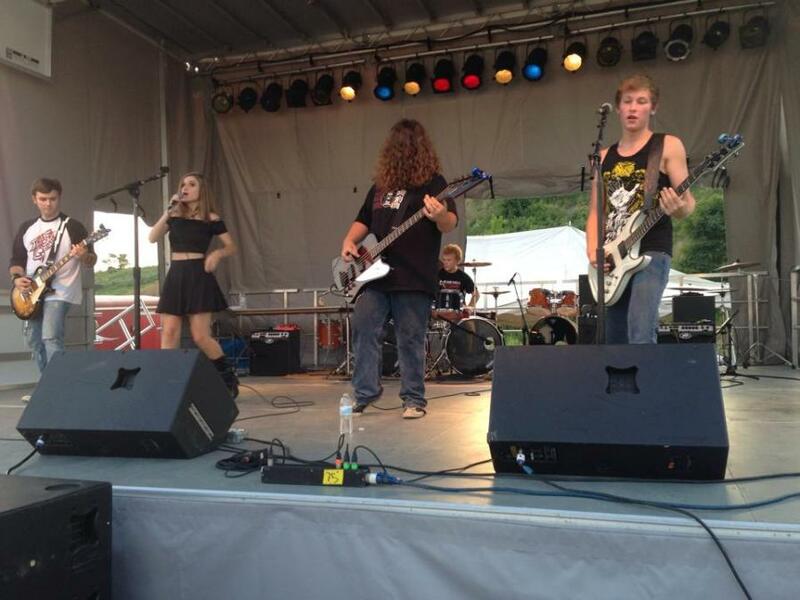 August 3, 2014: Congratulations to The 5th Gear and Brooke Cottrill for winning the Mon County Fair Battle Of The Bands! 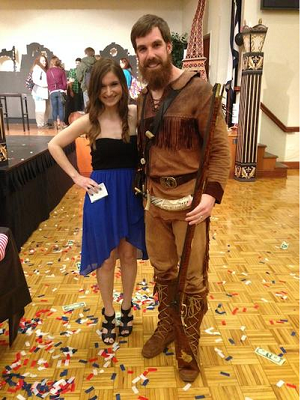 April 28, 2014: Here is a link to an article about Brooke in the WVU talent show. 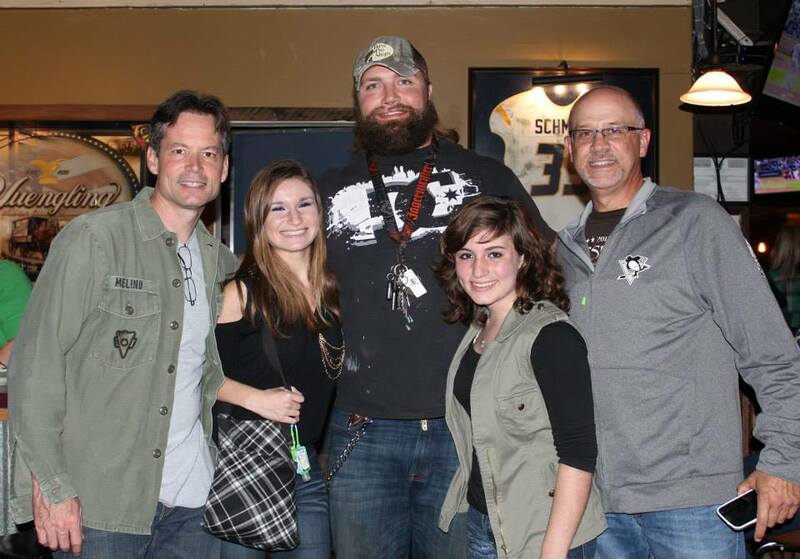 October 1, 2013: Brooke Cottrill and the Barracudas with WVU football legend and NFL fullback Owen Schmitt after playing Schmitt's Saloon in Morgantown, WV. August 2, 2013: Here is a video of Brooke singing "As We Stumble Along" from the play, The Drowsy Chaperone. July 5, 2013: Here is a new video of Brooke Cottrill and the Barracudas playing Quicksand live in concert. June 27, 2013: Happy 18th birthday Brooke! May 6, 2013: Brooke was named outstanding jazz soloist for her vocals on Paper Moon, and the BHS Jazz Band won first place at the Busch Gardens "Music in the Parks" competition in Williamsburg, VA.
April 1, 2013: Brooke is in this youtube video from the Bridgeport High school play, Legally Blonde. Brooke is wearing black and is the first one to sing and she sings the high note at the end. Jan 1, 2013: Check out the new video with Brooke singing "Respect" with John Angotti's band at the New Year's Eve celebration in downtown Clarksburg, WV at Jackson's Square. Nov. 9, 2012: Check out the new video with Brooke and Hannah Cottrill singing Yesterday. Oct. 13, 2012: The Clarksburg Exponent Telegram had a picture of Brooke and Cameron Coley from The Drowsy Chaperone musical. Oct 10, 2012: "As the Chaperone, Brooke Cottrill practically steals the show with “As We Stumble Along,” a professed “ballad to alcoholism” as described by Man in Chair. Cottrill has a voice that demands attention and resonates throughout the house. Her playfulness and commitment to her role is epitomized in this number." from a review of The Drowsy Chaperone. Sept 24, 2012: See the Connect-Bridgeport article about the show at Buffalo Wild Wings. Thanks to Jason Mike and Buffalo Wild Wings for being great community supporters and are giving 10% of what you spend to the United Way of Harrison County. 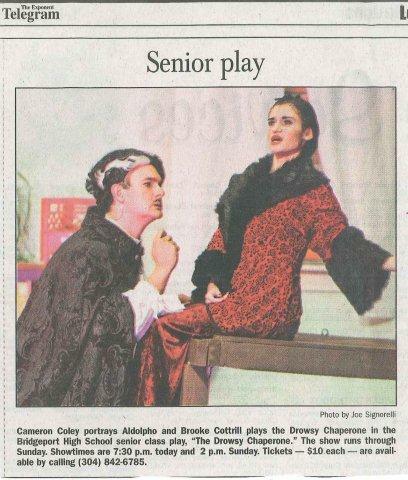 Sept 3, 2012: Check out the Connect-Bridgeport article about the Bridgeport High School play, "The Drowsy Chaperone", featuring Brooke in the title role. July 25, 2012: Check out the Graffiti magazine article about Brooke. Teen Singer is "No Princess". You can get Graffiti at these locations. June 27, 2012: From BrookeCottrill.com, Happy Birthday Brooke! Brooke is 17 today! June 26, 2012: Connect-Bridgeport.com has an article about the No Princess CD release. 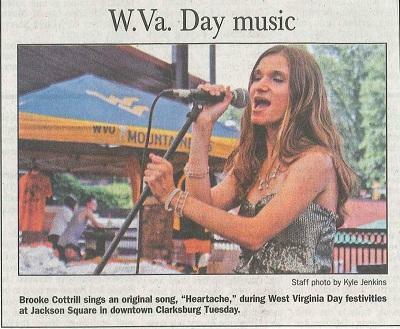 June 22, 2012: The Exponent Telegram newspaper had a picture on page A10 in the paper of Brooke singing at the West Virginia day celebration in Clarksburg. June 20, 2012: Check out the new video for "Heartache"
June 3, 2012: No Princess is available at the iTunes store. Click on the icon below to go there. May 27, 2012: Brooke's debut CD, No Princess, has arrived. Go to the Store page to order. Check out the Facebook Music Store and the CD Baby Music Store. May 25, 2012: The Clarksburg Exponent-Telegram newspaper has an article about Brooke, Kodi Mullins, and Maggie Ludwig qualifying for the International thespian festival. April 20, 2012: Brooke Cottrill and Maggie Ludwig named state champions for singing Duet Musical Theatre. 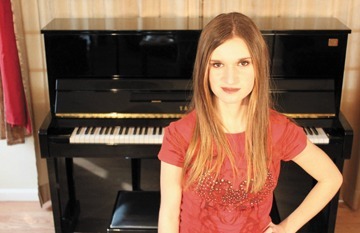 March 1, 2012: Brooke Cottrill is currently working on the finishing touches to her debut CD, "No Princess." In addition to writing the songs for the CD, Brooke also sings and plays piano. Joining her on the recordings are Bob Workman- drums, Brian Cottrill- guitar and bass, and Davin Seamon- Hammond and strings. The project is about 95% complete and features songs that range from guitar alternative to piano ballads. The CD should come out this summer. Stay tuned for news about her upcoming release! Check out Brooke's facebook fan page.